DVD Ripper for Mac - Convert DVD to iPhone 6S, iPad Pro, PS4, Apple TV, etc. Rip DVDs fast and smoothly on Mac with high quality. Transfer DVD to the new iPad 3, Nexus 7, Asus Infinity TF700, Galaxy S III, Kindle Fire, Galaxy Tab, Galaxy Note 10.1, PS Vita, etc. Trim, crop, merge videos, add text, image and video watermarks. Backup, rip, convert and edit DVD movies and music on Mac. Enjoy the wonderful audio-video sync output quality. iMedia Converter for MacThe iMedia Converter integrates a Mac DVD/Blu-ray Ripper and a Mac Video Converter together into one package. Blu-ray Ripper for MacThe Mac Blu-ray Ripper software can rip/convert your purchased Blu-ray movies and DVDs to any format you want. Pavtube DVD Ripper for Mac is designed for Mac users to edit and rip DVDs to almost all other popular video and audio formats, including H.265/HEVC, M3U8, MP4, 3GP, AVI, MPG, MPEG-4, FLV, MOV, 3G2, VOB, MP3, FLAC, MKA, OGG, WAV, AC3, M4A, etc. The Mac DVD Ripper makes it possible to play DVD contents on iPad Pro, iPad Air 3, Apple TV 4, Apple TV 3 , Google Nexus 6P, Windows 10 phone, HTC 10, Galaxy S7, Galaxy TabPro S, PS4, Open Hour Chameleon, Popcorn Hour, Xbox One, Xbox 360, Nook Tablet, Kindle Fire, Sony Tablet S, ASUS EeePad Transformer Prime, Asus Infinity TF700, PS Vita, WD TV, MicroSoft Surface Book 2/1, Surface Pro 4/3/2/1 and edit in iMovie, Final Cut Pro, Final Cut Express, Adobe Premiere etc. It features simple but powerful editing facilities for you to trim, crop, watermark movie clips and extract audio for collection. Its streamlined intuitive interface cares about your need, you will have no problem to find any options. The program can edit and rip DVDs to other video and audio formats you want for backup or sharing. You can import your DVD files by two formats: import IFO or DVD folder, all are just to cater for your desire. Its advanced coding technology optimized the conversion speed. With this Mac DVD Ripper, you can convert DVD 1.5 or 2 times faster than other similar tools. You can get any video length you want with trim function, just drag the process bar to the trim points. With crop, you can cut off the DVD clips' black edges and unwanted area easily. The program supports to capture the snapshots images, which can be used as wallpaper or editing elements. Support a set of real-time change options for the DVD clips subtitles, audio track, and angle when previewing. If you need, you can make changes for the original DVD clips subtitles, audio track and angle when doing real-time previewing on the right window of the main interface. The program supports to add different watermark like text, image (including GIF), and video watermark. Its video watermark function will add a picture-in-picture effect to your video. Its built-in codec will not install codec to your computer, so as to avoid the unexpected codec problem. Q: I have just purchased the Pavtube software for my mac and I have been trying to install it. It goes thou all the steps and at the end it says "Installation had errors Install failed. The Installer could not install some files"/ Applications". Contact the software manufacturer for assistance. How can I install the program on my mac? A: Pavtube has been updated to support the coming Mac Mountain Lion system. This new pkg file may have problem to install on Mac OSX 10.5.8. If you have this problem pls download the special installation file for Mac OSX 10.5.8 from below link. 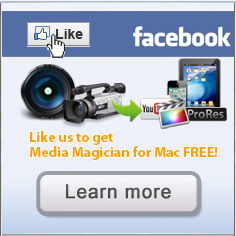 Further question, you can contact macsupport@pavtube.com. Q: I have just downloaded the new update for the software, do I need to uninstall my older version prior installing the new one or I just install the new application on top of the old one. Please advice. A: You are encouraged to uninstall the older version in the first place. However, you might also install the new update on top of the older version. Q: How to rip the DVD into one file instead of in chapters? A: Check all the chapters of a DVD and then check the box of ‘Merge into one file’ before you start converting the movie. Q: I am trying to capture a still picture from a video clip to use as a song background. Is it possible? A: Yes. You can double-click the file and preview it with the app, under the preview window there is a ‘Snapshoot’ button. Click the button when it plays to the frame you would like to capture. And you can locate the thumbnails by clicking the ‘Open’ button next to ‘Snapshoot’ button. A: You can customize formats and save them for future use. Click the format bar, select a most used format, and click ‘Settings’ button to customize it. Click ‘Save as’ button and renamed the format to whatever you like, finally click ‘OK’ to save. Then you could directly find this format in Custom when select Format in the main interface of this program..
How to Play DVD on Apple TV 4K? How to Rip, Convert, Import DVD to iMovie for Editing on Mac (macOS High Sierra included)? DVD to Final Cut - How to rip DVD to edit in FCP, FCP X, FCE on Mac? How to Rip DVD movie to Toshiba Thrive with Subtitles? How to Watch DVD Movie on Sony Tablet S? Watch movies on your BlackBerry via Mac OS! DVD to Android Converter on Mac-How to Bring DVD Movies to Kindle Fire? - Enhanced DVD loading and analyzing process. DVD to Toshiba Thrive Converter on Mac-How to Rip DVD movie to Toshiba Thrive with Subtitles?